Tivoli itself is on a hill. 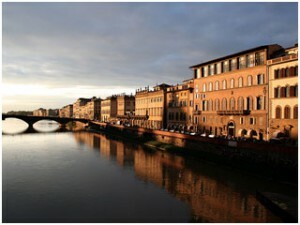 The lavish and romantic villa will remind you of the novelty and refinement of the Renaissance. 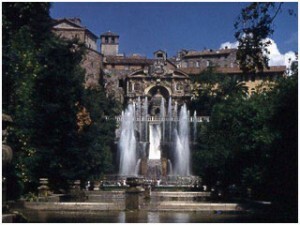 Down the hill, stroll inside the extravagant gardens featuring ruins and over 500 ingenious fountains. Tivoli’s history will speak for itself: for over 19 centuries, people have been coming here to get away. 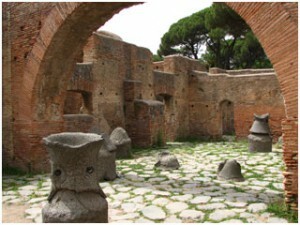 Much like Pompeii, Ostia Antica feels like a lived-in place. You’ll love the port, which gives the place an atmosphere of being alive even more. Visit the bar and see how refrigeration used to work, and see anciet commodities trading in the Forum of Corporation. With many live performances, and only 20 minutes away from Rome, Ostia is a great way to get out of Rome for at least half the day. Only one hour and forty minutes away from Rome by train, one must visit what many consider to be the most Romantic city in the world. See Botticelli’s Birth of Venus and Michaelangelo’s David, but keep in mind that while the city is beautiful, you might have to deal with a lot of tourists. You might consider staying at the Continentale Hotel overnight so that you can take it all in without rushing.